First up: one of our power couples. Need a recap? 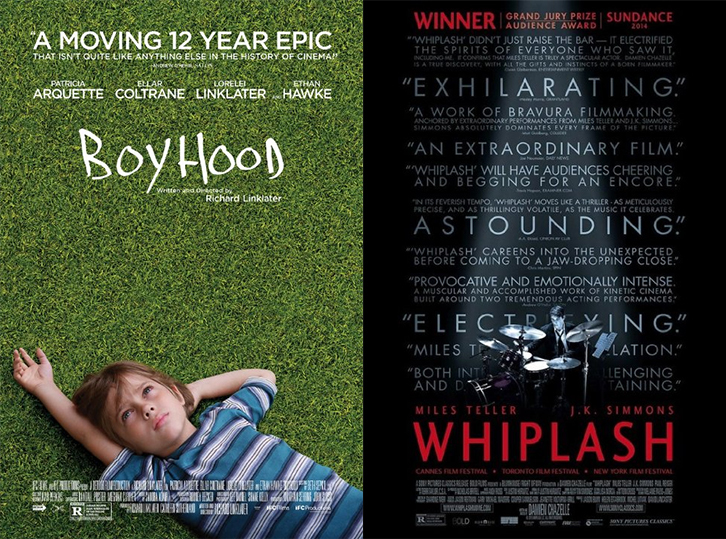 Follow the links and read our reviews of Boyhood and Whiplash, but don’t forget to come back and vote after!